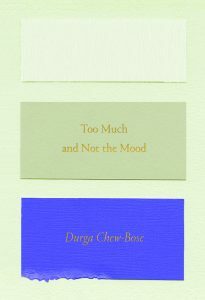 Too Much and Not the Mood: Essays, a collection of essays by Durga Chew-Bose, reads like poetry. Much longer than the essays in the rest of the book, the opening essay, “Heart Museum,” acclimates readers to the tone and language Chew-Bose uses throughout the rest of the book. It also aptly fits the title of her book, a phrase Virginia Woolf used when describing the disdain of editing her writing to appease readers. 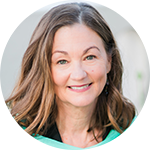 Toward the end of the book, Chew-Bose relates, “It still comes as a shock to me how irreversible life is.” Much of her book reflects this sentiment. Readers will feel how Chew-Bose holds dear her memories – of family, of friends, of events – and doesn’t attempt to change them. She seems to recognize past events as fixed events. However, in her recounting of them, she gives them new life and creates a beautiful collection of stories as a result.